Presbyterians in the American Colonies and then the United States not only delivered God’s Word from pulpits to worshipping congregations but also operated schools for children where they taught from masters’ desks. 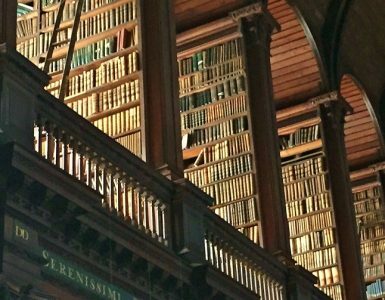 Ministers often prepared young adults for college, or in lieu of college tutored them in college subjects, and long before there were seminaries the clergy provided divinity education for ministerial candidates. The College Hill Church’s history, A Foundation in Christ, quotes an old saying. Baptist preachers farmed on the side, Methodist preachers spent their time in the saddle riding their circuits, and Presbyterian preachers stayed at home and taught school. 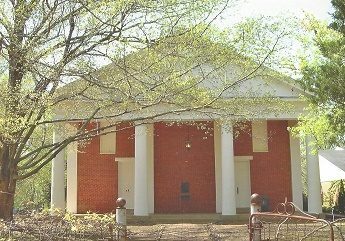 In particular, the College Hill Church, became involved in education early on and its efforts evolved into the founding of North Mississippi College in 1840. G. W. and Selina Buford, who were members of the church, deeded a section of their land to the college trustees who then built two brick buildings on the campus. 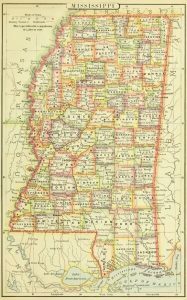 However, when near-by University of Mississippi began its program in 1848 and competed for local support with North Mississippi College, the increased draw on the already stretched limited funding of the college led to its closing about 1860. In 1870, Rev. James A. Lyon, a minister who had served several years in the Presbyterian Church in Columbus, Mississippi, would become professor of mental and moral science in the University of Mississippi. The people interested in establishing a church at College Hill met for the first time in the home of Alexander Shaw on January 10, 1835. The group was led in worship by Rev. Thomas Archibald who delivered a sermon from 1 John 3:3, “And every man that hath this hope in him purifieth himself, even as he is pure.” From this original gathering the congregation grew sufficiently to be organized through the ministry of Rev. Ebenezer McEwen on November 1, 1836. After changing the church name a few times during its early years, the name College Hill Presbyterian Church was adopted. The first church facility was a typical, functional frontier building constructed with logs and it was located about twenty yards from the brick church shown in the photograph. 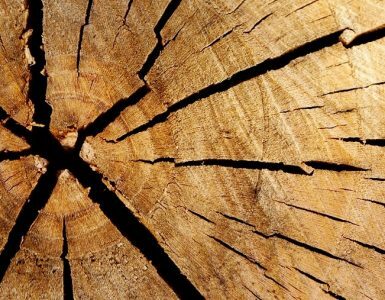 Construction on the current church building began in 1844 using locally milled lumber and bricks fired on site. When completed, the new church was dedicated to the glory of God on December 12, 1846. Pastors serving the College Hill Church from its beginnings until the close of the nineteenth century included— D. H. Doak, 1855-1868, Edwin Carter, 1869-1876, James W. Graham, 1877-1881, and E. C. Davidson, 1882-1883, who were all stated supplies, and a Princeton Seminary educated minister, T. D. Latimer, served, 1884-1885. G. W. Boggs and A. M. Sale had brief ministries between 1884 and 1887. The next pastor, J. W. Allen, served a half-dozen years, 1887-1893. 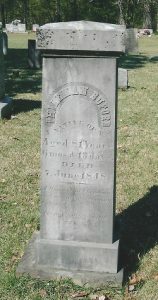 The cemetery monument pictured marks the grave of “Phileman Buford,” who died at the age of eighty-one years, six months, and thirteen days on June 7, 1848. The inscription goes on to describe Mr. Buford as “A benevolent Christian and an uncompromising Calvinist.” The last line of the inscription quotes Scripture, “The just shall live by faith.” The Buford family has provided an extended influence on the congregation according to the inscription on a plaque located between the two entrance doors. Goodloe Warren Buford, son of Phileman, was the clerk of the session when the plaque honoring his father was set in place at some time after 1963. One son of College Hill, R.A. Webb, who was born in Oxford and attended Sunday School classes taught by another member of the Buford family, H. Aubrey Buford, later entered the ministry. 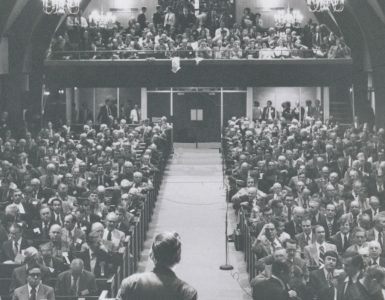 Young Webb matured to be educated in Southwestern Presbyterian University and Columbia Seminary for the purpose of laboring in several churches including Second Presbyterian Church, Charleston, where Thomas Smyth was the pastor for his entire forty-two years of ministry. About twenty-five years of Webb’s ministry were in educational institutions including Southwestern Presbyterian University, 1892-1908, where he became the first alumnus of the school to join the faculty, and Louisville Presbyterian Theological Seminary, 1909-1919. His writings include: The Theology of Infant Baptism, Christian Hope, and Christian Salvation: Its Doctrine and Experience. The seeds of Calvinist doctrine taught by Dr. Webb can be be traced to his early training as a scholar in a Sunday School class. So, take heart teachers, sometimes the rewards of Sunday School teaching are long coming, but they often exceed expectation through the working of God’s grace. 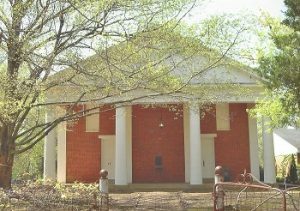 Most of the information regarding the College Hill Church has been taken from A Foundation in Christ: The History and Recipes of College Hill Presbyterian Church, College Hill, Mississippi, which was published for the church’s sesquicentennial and it includes a lecture by Will Lewis on the history of the church and a series of newspaper articles written by Newton Smith in 1909 about the church’s history. The photograph of the church is the author’s and it was taken in April 2003. The information about the pew holder tax and communion wine is from Robert M. Winter’s self-published comprehensive and well illustrated book on the history of Mississippi Presbyterians titled, Outposts of Zion: A History of Mississippi Presbyterians in the Nineteenth Century, Holly Springs, see page 214. Walter B. Posey, The Presbyterian Church in the Old Southwest, Richmond: John Knox Press, 1952, though published more than sixty years ago this book is a beneficial analysis of the subject. On page 85 of Cooper, Southwestern at Memphis, 1848-1948, Richmond: John Knox, 1949, the author mentions R. A. Webb. The New School History of the Presbyterian Church by Gillett, vol. 2, p. 333, notes that in 1830 the “Presbyteries of Union and Shiloh had each but one settled pastor, West Tennessee had two pastors [one of which was Ebenezer McEwen supplying the churches of Eldad, Salem, and Jehoshaphat], and Holston and French Broad had three each, making in the five Presbyteries and within the bounds of the state only ten settled pastors.” Extention of the Presbyterian Church has often been accomplished by a handful of ministers.